1/13- THE CROCODILE ft. collab w/ Seattle Kokon Taiko!!!!!!!! SMOKEY BRIGHTS & Scarves!! 8pm. 10/1 - SHOREWOOD PERFORMING ARTS CENTER : (Shoreline, WA) *guest performance with Seattle Kokon Taiko at their 35th anniversary concert. FISHERMAN'S VILLAGE FESTIVAL IN EVERETT (MainStage) 5/16!!! This is the first time we've played this local festival, and we're very excited to do so. URBAN GRACE (Tacoma)- 2/7: Night of the Jackals. Modern dance pieces choreographed to our latest full-length, and performed in tandem from start to finish. A show in support of a local initiative for tighter gun control. We're playing at The Bouquet w/ Sallie Ford and the Sound Outside and others! Doors at 6pm; we're on at midnight. NEUMOS - 11/16 w/ Campfire Ok & Vox Mod!! Record release show for our new album -The Jackals (out 11/12). 11/22 @ Cafe Mela (Wenatchee)!!! Gonna be our Eastern Washington album release show. Come make it a party. We like to party with you. And what better time to party then on a Friday night? Grab a ticket or 2 riiiiiggggghhhht HERE! 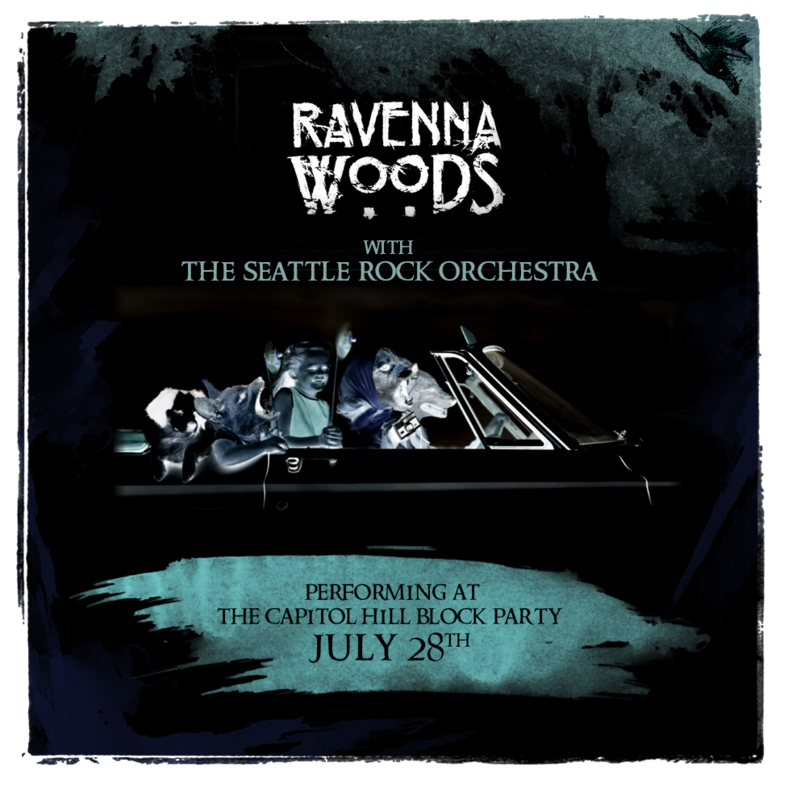 We are headlining the Vera Stage at the Capitol Hill Block Party on July 28th (8:15-9pm). It's gonna be a very, very special show. Seattle Rock Orchestra will be performing arrangements to our new material... T'will be epic. MARCH 5th @ The Wild Buffalo (Bellingham, WA) w/ Sallie Ford and the Sound Outside!!! Doors at 8pm, music at 9:30pm. Only $6 for tix! The Bellevue Arts Museum's BAMIgnite Event!!! DJs, drinks, food, new exhibits, and...Ravenna Woods! Starts at 8pm. with Cody Beebe and the Crooks, Land of Pines, The Swearengens.